We all know that grace does or accomplishes many things. Grace, working through faith, saves (Ephesians 2:8) and thus brings man into the accepted presence of a holy God. It is grace through which God sees in me the righteousness of Jesus and not the horror of my sins. But on this occasion Frank made several key points about grace. Among his points he noted that the grace of God teaches. Far from being a passive allowance for sin, grace is active and is seen through the teaching delivered in Scripture. When we read and study God’s word, we are receiving the benefits of his grace. And when we reject those teachings we are rejecting his grace. Hebrews 10:26-29 is instructive on this point too. The important question is whether one has “outraged the Spirit of grace” by rejecting his teachings. If the Spirit teaches, and he does (2 Peter 1:21) and if that teaching is a form of God’s grace, and it is (Titus 2:12), then it stands to reason that we ought to pay careful attention to what we have heard (Hebrews 2:1-4). To ignore the teaching of grace brings condemnation and certain death. 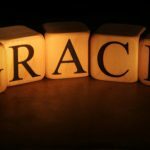 Do Grace and Works Clash? Next post: What About the Poor?